I've been in a little pain of late. My rider found a crack in my rear frame :( & while out on our last ride together my rear wheel rim wore out as well. He already planned and ordered a new set of wheels for me so I thought I would be back on the road soon, maybe in time for the LBC: Cambridge ride. Clamped on my stand for over a week I had no wheels and he went without me to Cambridge :( I was upset, a little hurt but I knew I couldn't do it with no wheels. I was sad couldn't go with him but I knew he would look after me when he came back. When he returned he had my new wheels and I was excited cause I knew this was the upgrade he been talking about to me. 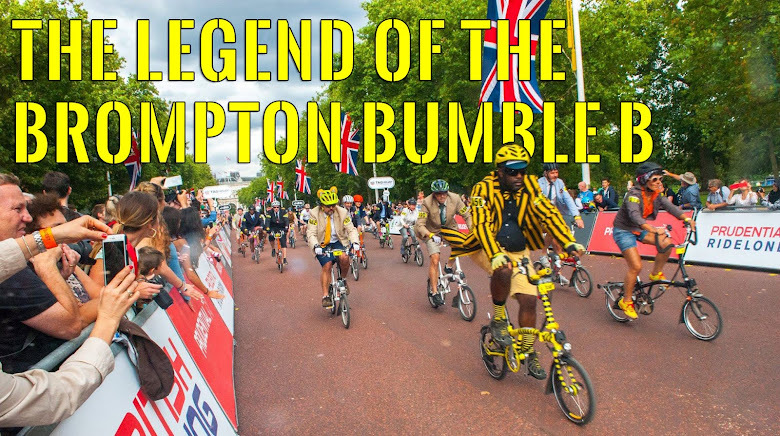 But there was another Brompton with him when he returned. He was older and navy blue and I didn't like him. Not one bit. Just because I worn out my rims and the tiny crack he wouldn't just throw me out ? 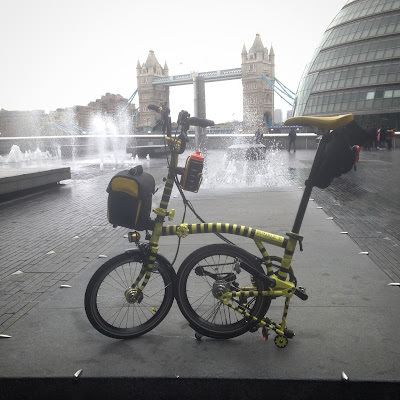 He told me that the other Brompton was called "Bluey" and he was only here till I was back on my wheels. He came home from work one day all excited,put my new wheels on, took me off my stand and put me in the boot of the car. Next thing I know I'm being rolled into LondonFields Cycles, E9. I remember being here once before to get my new cog and chain just before the IG Nocturne a few months ago. Maybe I was being upgraded here cause he couldn't do it at the HiVE maybe. I knew I would be in good hands here so I relaxed abit it would only be over night at most. But nothing happened, tried talking to the other strange bikes I was with but they all ignored me. Next day I was put into a box. Was I going to a new rider? But I love my current one I don't want go. I cried all morning wondering what I had done, I didn't know what to do. Then I heard a familiar voice, it was my rider Andrew. He'd come back for me and we was going back to the HiVE. But no I wasn't going home, but he spoke to me just loud enough so I could hear him though the box. That I was going to a place I had been before and not to worry, we will be together again soon and I would be much better. I remember being in a box once before, long ago but I don't remember much about it. "Next day I was put into a box.